Apps are launched and added in the play/app stores every day! The mobile app industry isn’t new in seeing startup businesses coming up to try their luck, some having a boost, a few running at par and the rest leaving the battleground with unsuccessful outcomes! Showing up an impressive number of installs isn’t the final result, instead, it's just a milestone! The huge challenge for any app-based startup entrepreneur is to find a consistent focus among the various highs and lows understanding what to avoid post-launch. Numerous mobile app development companies prefer to showcase the challenges standing ahead right after launching the application which can give you a complete heads up to security and stay prepared for the holdbacks in the way. You might have thought at your best and the business idea is truly the one that the world has not seen before. But, the relevance will come up only with the targeted audience finding the product/service of use. Another aspect of losing the app in the crowd is when you lose your monopoly, or nothing distinguished than the other applications having a similar business model. App entrepreneurs are required to analyze each aspect and understand the difference between scalability and growth. It’s a thin life differentiating between your business being scalable or urging growth which required a strong strategy backing the same. Scalability means that the expenses you’re incurring are kept low while the margins you’re receiving are either high or at least at par. While in case of growth, it can be termed as a complete strategy where you’ve implemented a strategy to increase the investment and promotion tactics to multiply the gains. Focus on growth which brings you long term effects for each effort in the app journey. Marketing is the essence of your business! You might have achieved the preset target but, that doesn’t ensure that your app may have a long run! The way how you decide to market your mobile app can be the biggest deciding parameter of either it will turn to be successful or end up lacking the spark. There can be a number of factors to consider like the budget you’re comfortable to invest in promoting the app, the list of confusions you might incur or the struggles which are required to set aside. The moment you get the perfect answer on how to market the application, half of the battle is already won! Always intend to spend on fixed ROI rather than keeping experiments at every stage. Money fetches money! You won’t get an easy road to success until you spend tactfully. Once the expenses kick off, you may feel less of funding, half of your backing fund will run out only in experimenting the best strategies to market the application. You must have funds in-store and the investors in the panel to let you stay safe while experimenting on business promotion strategies. You can never put in all the required features and elements right in the initial launch phase, there will always be something new which can be added or tweaked and even removed. Developing an app is a continuous process wherein the process doesn’t end and has a lot to blend for a better outcome. Constantly updating your application can help your users connect well with the increased user experience. While in case you’re not interested in updates, chances are that your app and its users base will ultimately succumb to non- existence because of the simple fact that it has never been looked over in terms of maintenance. Doesn’t matter how accurately you have planned your business model it may not always be of the same relevance as it is today. Market changes constantly and so does the choices, people may stop using things completely which they used to love at some point in time. The best possible solution for this can be changing the business models as and when required, it is hardly any app today which can promise survival in the market running on the similar business model it started operations with. Well, you may have already completed or must be in progress, but we recommend to get the best advice over your upcoming or launched a mobile app, consult experienced iPhone app developers or the android app developers to get started with your feature enriched mobile app and multiply your customer base instantly. 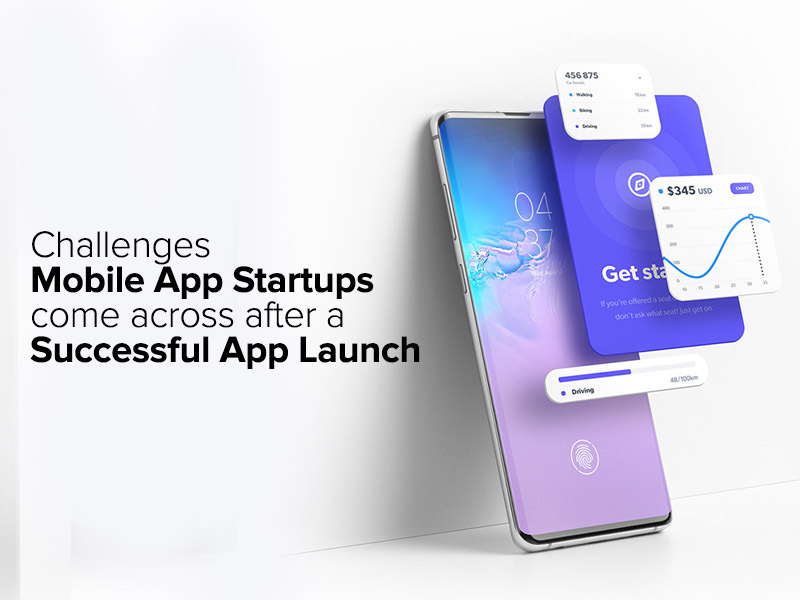 TechFond - Latest Technology | Analysis | Enterprise | Startups | Product Reviews | How Tos: Challenges Mobile App Startups come across after a Successful App Launch?